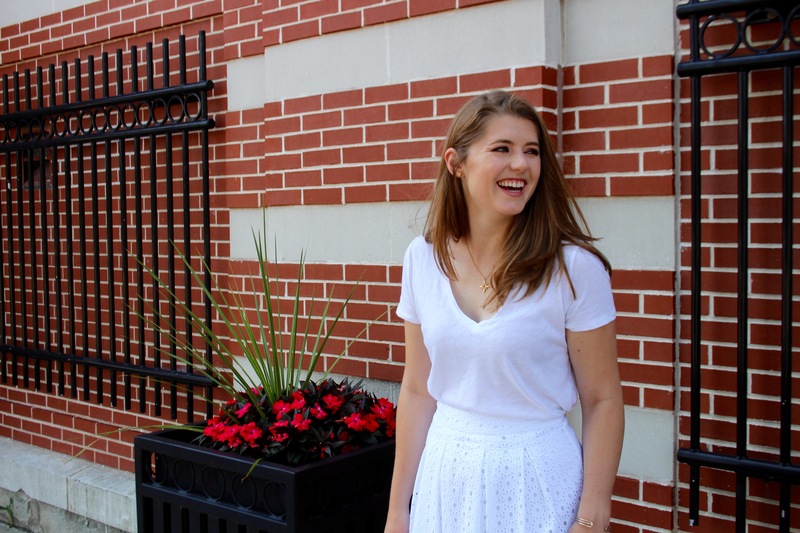 The heat wave of this week has me craving light and airy white looks, like this tee and skirt combo. 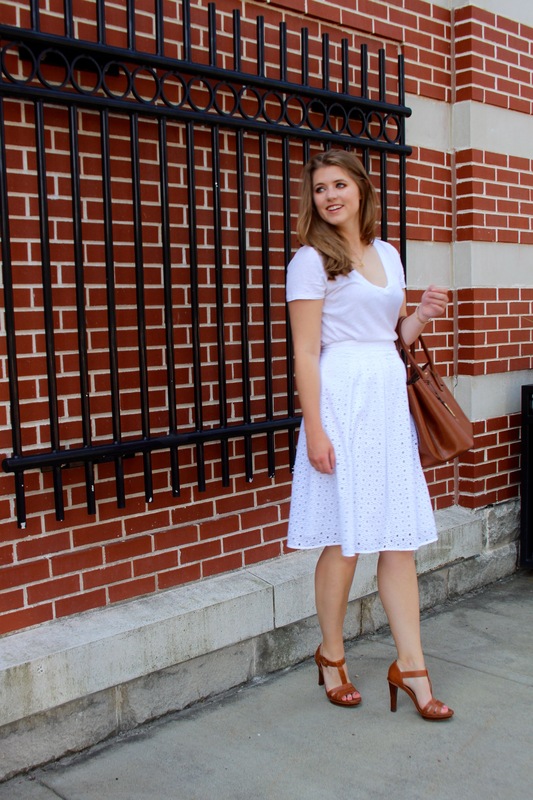 I was loving white on white last year for holiday related events (I wore a similar white top, white skirt combo for the harbor cruise we took for my sister’s birthday) and this year I decided it needed to be done again – but with a bold heel added. 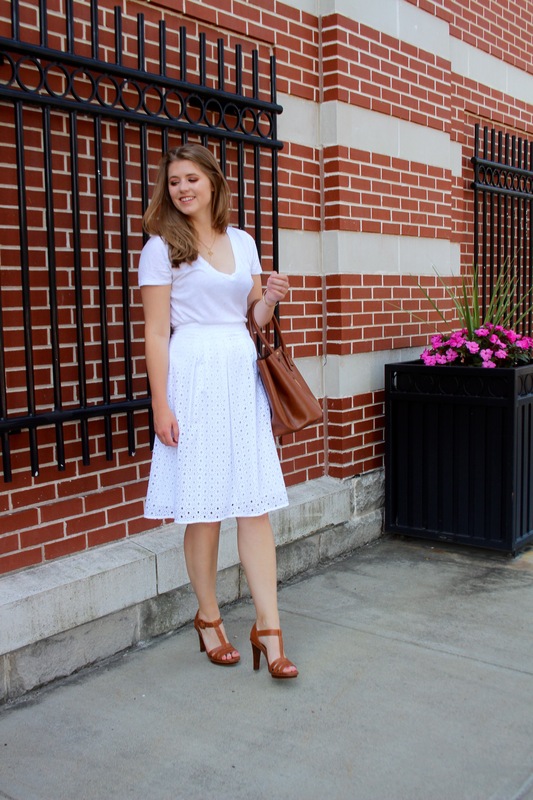 It turns out that brown is the perfect accent to an all white ensemble. If you wanted to break it up, this distressed and embroidered denim jacket from the Anniversary Sale would be the perfect finishing touch for less than $50! Speaking of the Anniversary Sale, public access starts today! 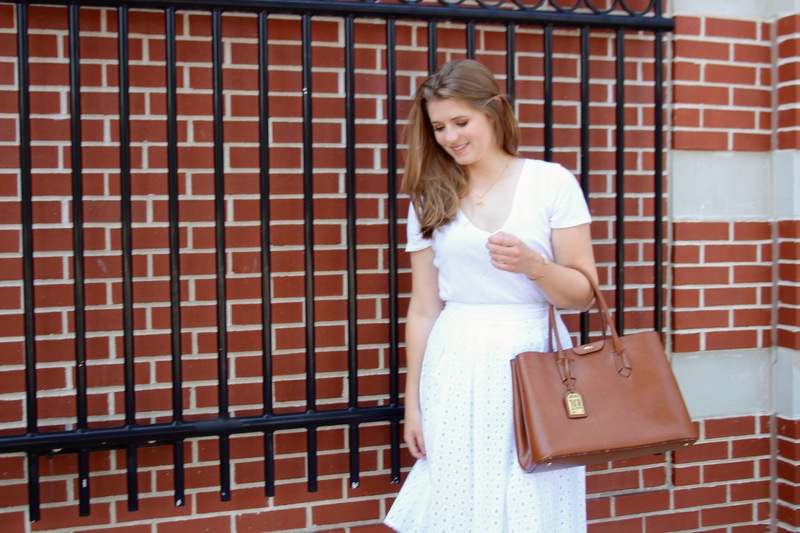 Make sure you check out my full page of Anniversary Sale picks here! If something you love is sold out keep checking back in since Nordstrom does restock durng the sale!! What are you all thinking of picking up during the sale? There are so many amazing deals I just don’t know where to start!